Figure 59: Total internal reflection. since the refractive index of air is approximately unity, and the refractive index of water is . 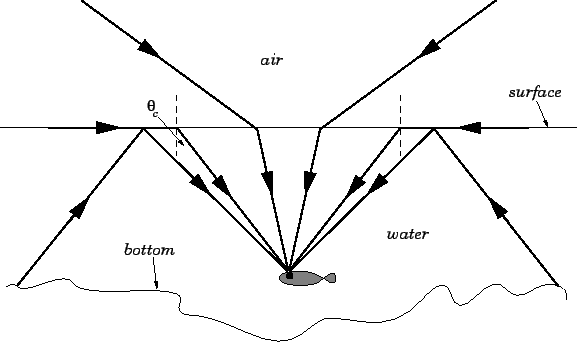 Figure 60: A fish's eye view. 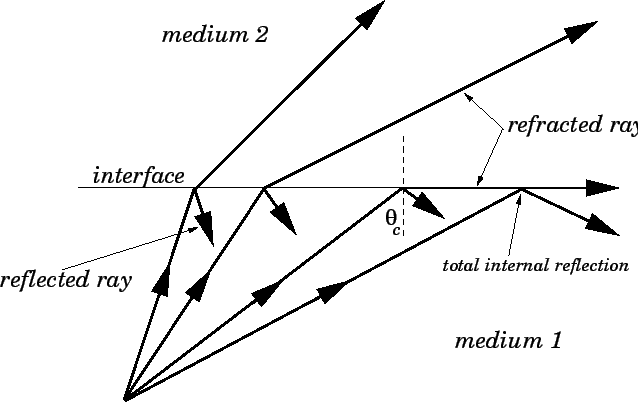 When total internal reflection occurs at an interface the interface in question acts as a perfect reflector. This allows crown glass prisms to be used, in place of mirrors, to reflect light in binoculars. This is illustrated in Fig. 61. The angles of incidence on the sides of the prism are all , which is greater than the critical angle for crown glass (at an air-glass interface). 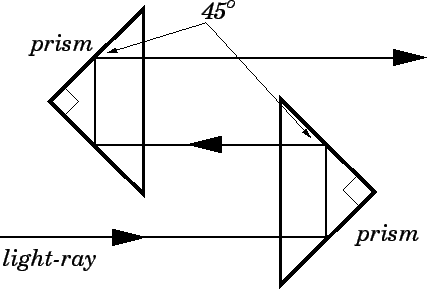 Figure 61: Arrangement of prisms used in binoculars. Diamonds, for which , have a critical angle which is only . The facets on a diamond are cut in such a manner that much of the incident light on the diamond is reflected many times by successive total internal reflections before it escapes. This effect gives rise to the characteristic sparkling of cut diamonds. Total internal reflection enables light to be transmitted inside thin glass fibers. The light is internally reflected off the sides of the fiber, and, therefore, follows the path of the fiber. Light can actually be transmitted around corners using a glass fiber, provided that the bends in the fiber are not too sharp, so that the light always strikes the sides of the fiber at angles greater than the critical angle. The whole field of fiber optics, with its many useful applications, is based on this effect.